After a wet start to the day with steady rain, the track & racers dried out to get the U.S. Sand Nationals featuring PTN Race #3 at WMSD under way. 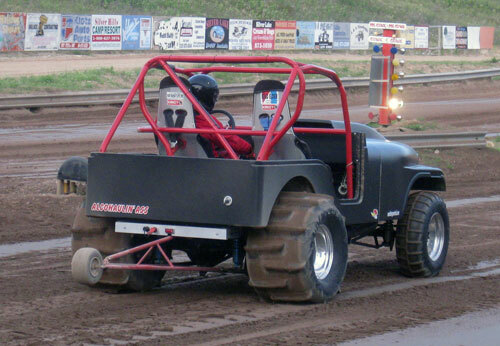 By the 11PM curfew, all except the final couple of pairs in round one of Sportsman 1 had been completed. Brian Ambs held on to the top qualifying spot in the Top Fuel class with a 3.02 and got by Nick Vanderputte in round one of eliminations to advance to the final round. 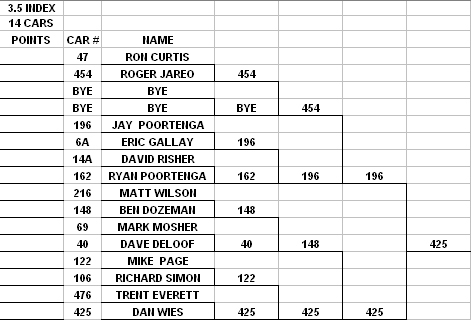 Ambs will face off on Sunday against Rob Scheytt, who defeated his brother Scott with Low ET of the weekend so far, 2.99. In Pro Truck, point leader Kyle Harney fell to George Colwell opening the door for Ben Dozeman who advanced past Mike Page in round one. A PTN record 28 entries took to the track in round one of Pro Truck eliminations. The weather looks exceptional for a great finish to this year’s U.S. 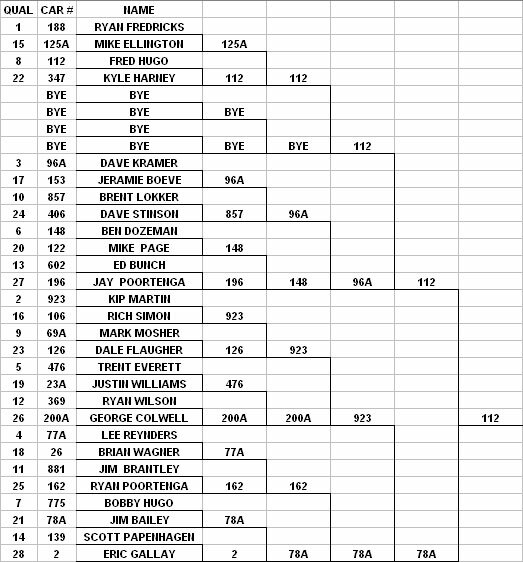 Sand Nationals on Sunday. Day 1 of the 2010 U.S. Sand Nationals at West Michigan Sand Dragway in Mears, MI featuring the Pro Truck Nationals race #3 saw some exceptional racing throughout the day capped off by two tough classes. The 3.5 Index class came down to a Michigan versus Missouri battle with Missouri coming out on top as Dan Wies turned on the win light over a redlighting Jay Poortenga. The popular Sportsman Truck class was dominated by Kentucky as George Colwell took the victory over fellow Kentuckian Kyle Harney. Brian Ambs ran Low ET of the day with his Blown Big Block Ford-powered Altered with a 3.02 while Scott Scheytt debuted the new U.S. Army TA Dragster with a nice easy 3.03. Racing action continues on Saturday. 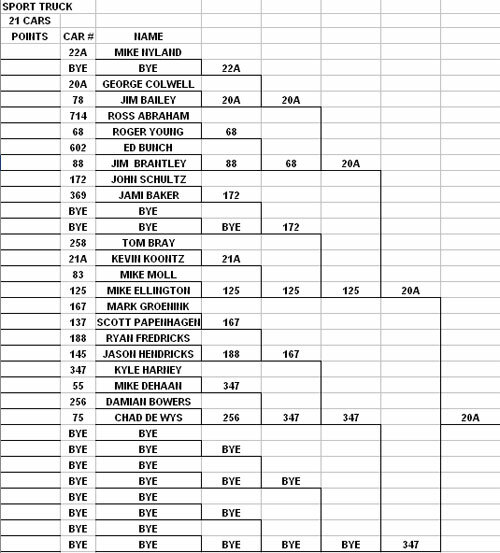 Mike Ellington made it to the semi-finals of Sportsman Truck. Damian Bowers made the long haul from Indiana to race the Leftovers Jeep against Pro Truck points leader & eventual runner-up on the night in Sport Truck, Kyle Harney. Guy Wagner's wild looking Blown BBF-powered Bronco. 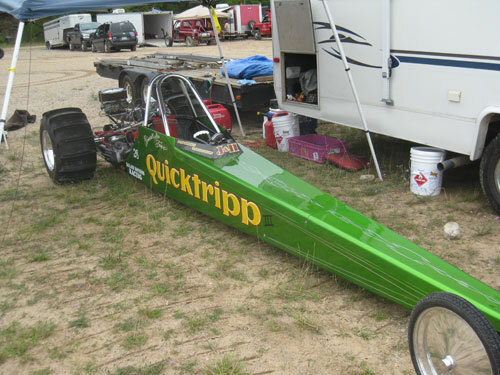 Randy Tripp's new Quicktripp III Dragster. 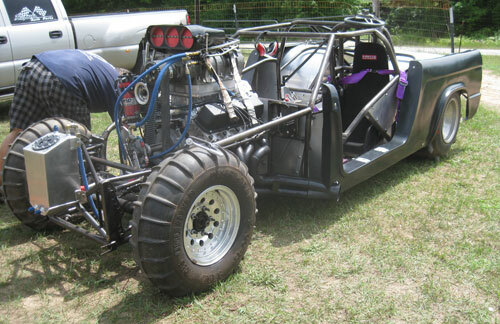 NSDN will be on-site at West Michigan Sand Dragway in Mears, MI for the U.S. Sand Nationals featuring Race 3 of the 2010 Pro Truck Nationals series on July 23-24. We will have our normal Daily Race Coverage and Live Updates from this event. Be sure to check the left sidebar for up to the minute updates from the track. 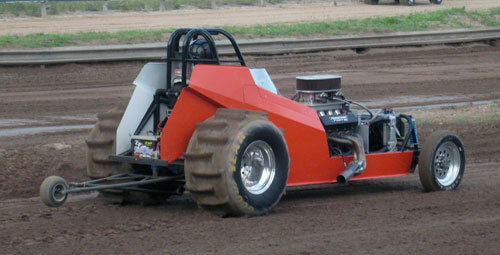 Action kicks off on Friday with Test & Tune as well as 3.5 Index and Sportsman Truck competition. This NSDN Daily Race Coverage is courtesy of the Pro Truck Nationals series. Check back throughout the weekend for the latest from this event.